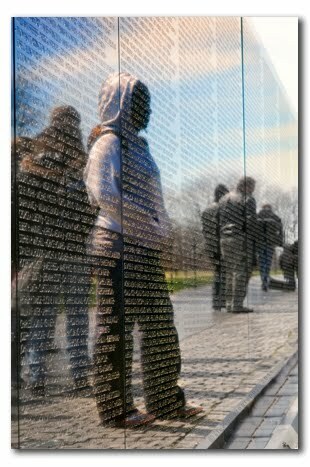 While vacationing in Washington, D.C, I captured my friend's (Tori) reflection in the wall of the Vienam fallen soilders. As a graduate of the Ohio Institute of Photography and Technology I learned everything available that will lead me to the light. As long as I can remember I have always been the family photographer, it was just something I was destined to do. As a child I was always taking pictures, you see I have 3 brothers, 3 sisters and we had 3 dogs that I can remember so finding a subject to shoot wasn't too difficult. Oh the days of film photography, things definitely were not instant (I mean digital) back then. Submitting the roll of film to the local store for developing sometimes could result in a 2 or 3 day wait. I would sit and wait (not always patiently) to find out if I at least captured the entire body of my subject. Lord please keep my image from the dreaded black hole, you know the monster that would paint a portion of you image black. I know I wasn't the only person whispering those words just before picking up what you prayed would be a good set of prints. I could go on and on, however the purpose of this blog is to allow you to follow my progress as I continue to chase the light. This is a Flickr badge showing public photos and videos from g_edmond6. Make your own badge here.